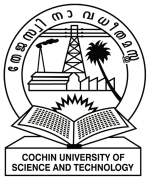 Since there are various courses offered by the Cochin University, the syllabus for each CUSAT CAT 2019 paper also varies. Candidates should have a complete knowledge for the CUSAT CAT 2019 Syllabus in order to score well in the examination. CUSAT CAT 2019 syllabus will be different for each and every paper. In each paper different set of questions will be asked in the examination according to the prescribed Syllabus. Mathematics: Number System - Sequences, Series, Complex Numbers Equations - Quadratic Equations, Differential Equations Logical and Reasoning - Sets, Relations, Functions, Mathematical Reasoning Algebra - Vector Algebra, Matrices, Determinants Geometry - Coordinate Geometry Integrals – Calculus. Physics: Electronics - Current Electricity Velocity - Laws of Motions, Oscillation and Waves Gravitations Basis - Physics , Measurement Isotopes - Atom and Nuclei Forces - Gravitation, Magnetic Effects of Current and Magnetism Transmission - Communications Systems Kinetic Theory of Gases Light - Optics Temperature - Thermodynamics. Mathematics: Basics, Algebra, Geometry, Equations, etc. Computer Science: C, C++. DBMS, OS, Algorithms, etc. Logical Reasoning Pictorial representations, Logical decoding, Basic Maths, etc. Logical reasoning: pictures, geometrical figures, patterns of words, Number Sequence, Set Theory, Logic decoding etc.